Any Surface: Flat, Sliding, I.D. or O.D. 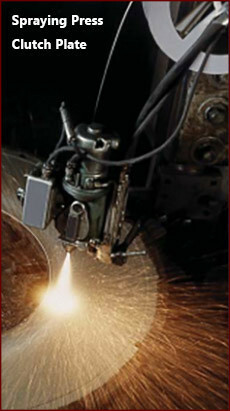 Abrasive, Erosive, Adhesive/Galling, Fretting, Sliding, or Cavitation. Corrosion...Chemical, Atmospheric, and High Temperature Corrosion Problems. Thermal Barrier and Dielectric or Conductive Coatings. Copyright ©2016 Central Metallizing a division of Treib, Inc.